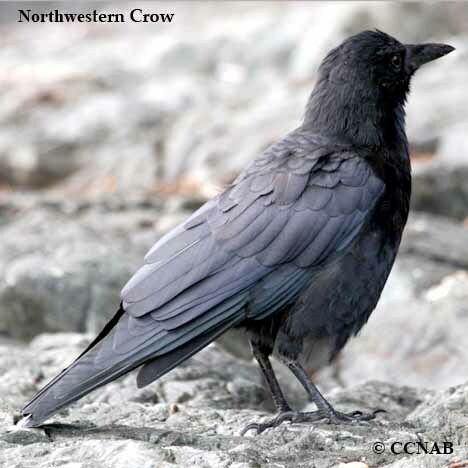 The Northwestern Crow is seen on the west side of the Rocky Mountains. 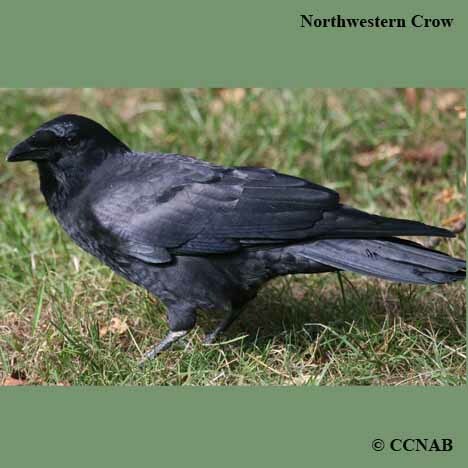 All along the western coastlines from the State of Washington, north, through Canada, to the State of Alaska. 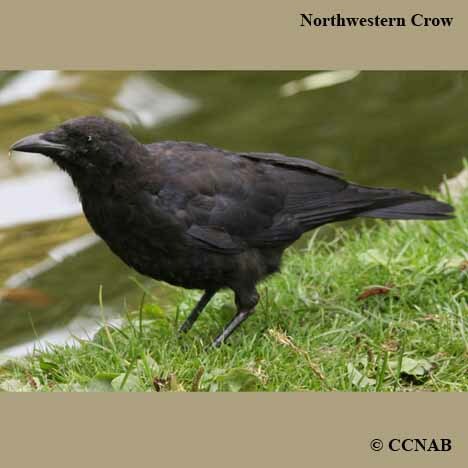 Including Vancouver Island and other islands along the northwestern coastlines. 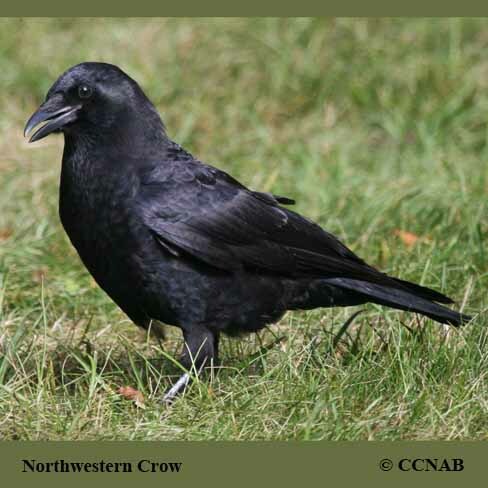 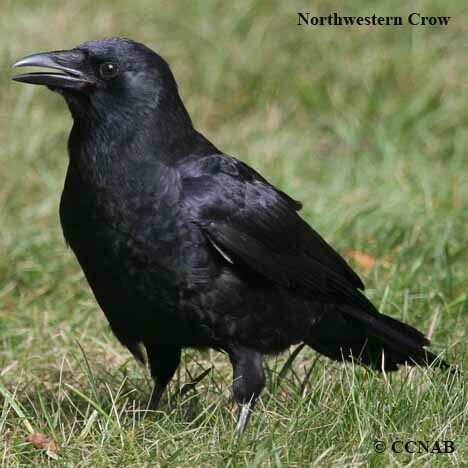 Somewhat similar in size to the American crow, but has different and recognizeable calls.